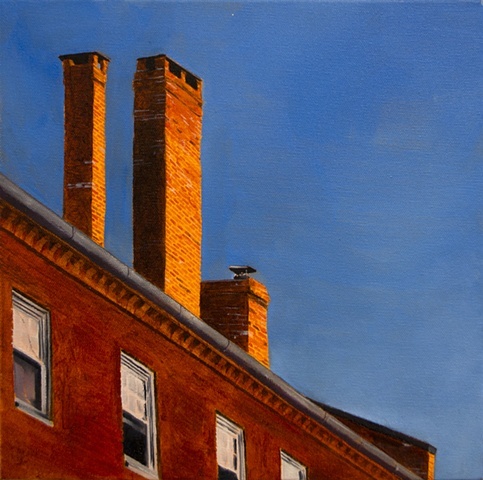 These chimneys adorn the top of the West Row building right on Market Square in Newburyport Massachusetts. This is above the Inn Street face of the building. At around 7:30pm in June, only the chimneys are illuminated by the sun.